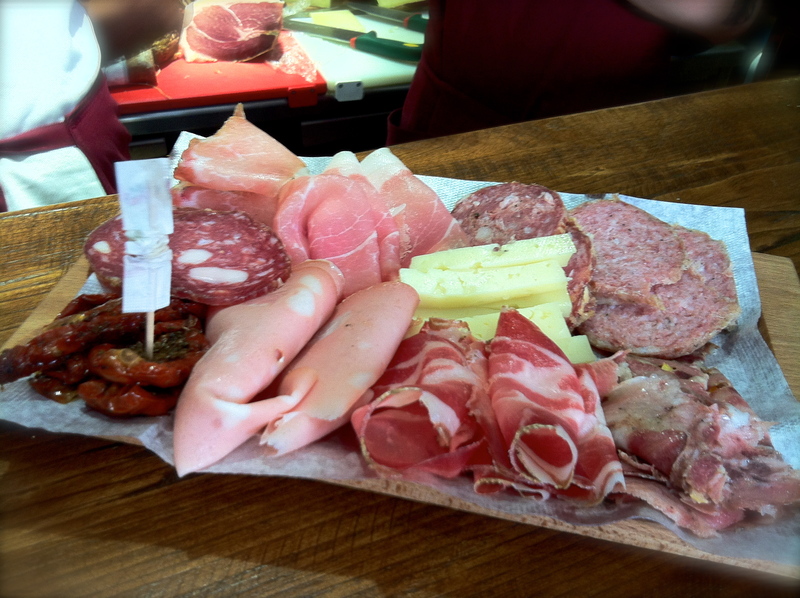 This entry was posted in food, Perugia and tagged cured meats, La Bottega, Olli Salumeria. Bookmark the permalink. 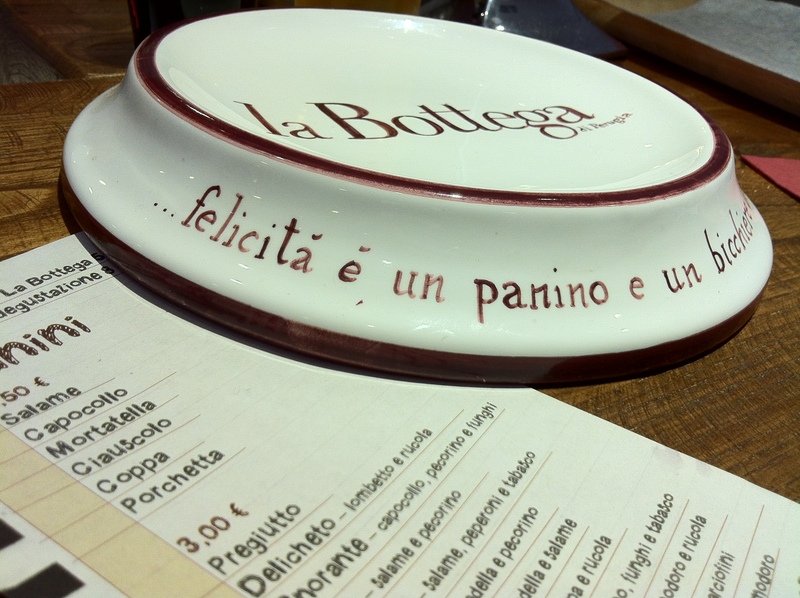 If I am ever fortunate to visit Perugia, I will have to look this wonderful sandwich shop up. Sigh…. To be honest, I am not ready for you to end the blog. Perhaps, you could do “Life in Washington” for I loved knowing about your thoughts, adventures, reflections and those of Matt, Tom, and Ray. It was a great treat to see you on Saturday. Thank you so much for the photo assistance. I stumbled on your blog when I was googling a particular pasta being served at Il Corvo here in Seattle (where I too happen to live). Love the blog and am jealous of the amazing experience you created for yourself. I hope you keep blogging too, FWIW. 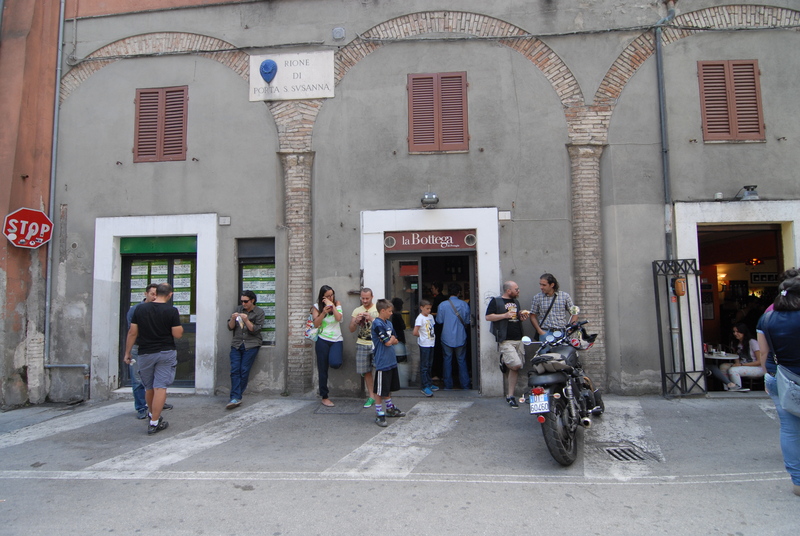 My wife Marianne and I are in town for Jazz Umbria and staying in a flat on Via Appia. 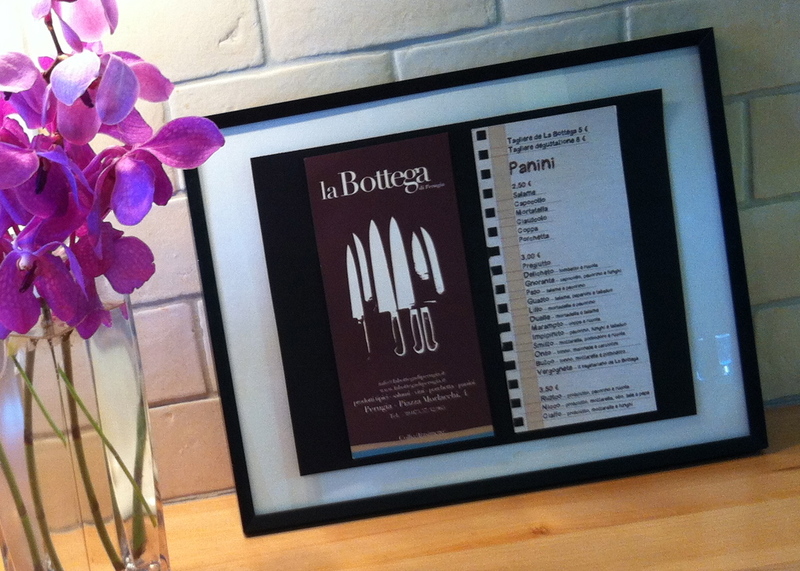 La Bottega is terrific & I enjoy morning coffee at Caffe Morlacchi next door as well.